At the core of our Family and Friends trip to Israel are the parents and relatives who have children attending at The Master’s University IBEX campus. However, we also open the trip to those who may have no direct connection to IBEX or TMU. We invite you to join tour guide, Dr. Michael Grisanti, for a ten-day trip to Israel in March 2019. 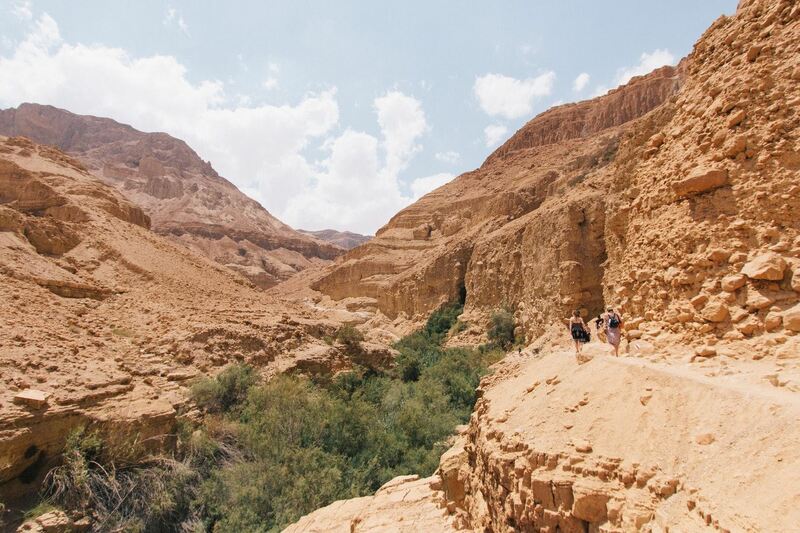 The Family & Friends Program is arranged to make it possible for you to not only visit Israel and explore the historical and biblical sites, but to also be introduced to our IBEX program. Opportunities for several meals and fun times together with the students have been arranged. 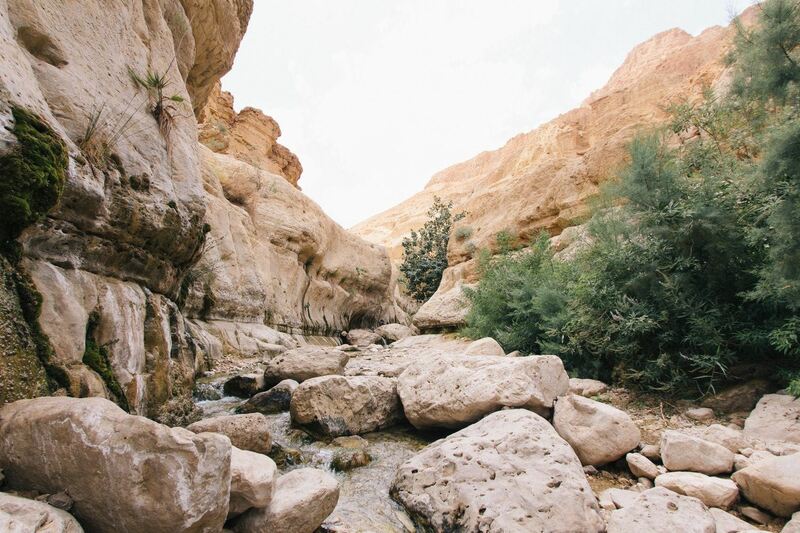 Some sites of significance on the itinerary include the Sea of Galilee and Galilee region, the Shephelah, the Dead Sea, the Jordan River, and of course, Jerusalem. Our trip is not a slow-moving tourist trip, but a fun and engaging study trip. Our desire is to help each participant better understand the land of the Bible through our time together. We will provide a unique atlas and study notes to help you follow along with the instruction. We will do a fair bit of walking to several sites and ride the bus for other stops. Dr. Michael Grisanti is professor of Old Testament at The Master’s Seminary. He has been actively involved in ministries around the world, which have brought him to Albania, Brazil, Chile, Colombia, France, Germany, Honduras, Israel, Italy, Japan, Jordan, New Zealand, Portugal, Romania, Russia, South Africa, Spain, Ukraine, and the United Kingdom. 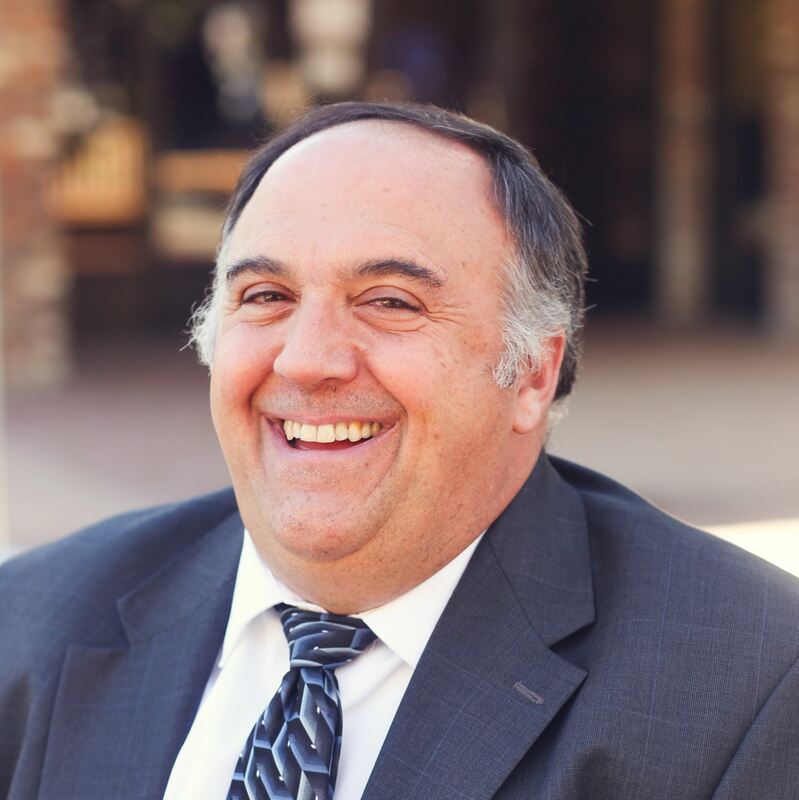 Dr. Grisanti has contributed to the New International Dictionary of Old Testament Theology and Exegesis, the Baker Illustrated Bible Handbook, and the Eerdmans Dictionary of the Bible. He wrote the commentary on Deuteronomy in the revised edition of the Expositor’s Bible Commentary and was one of three authors for The World and The Word. 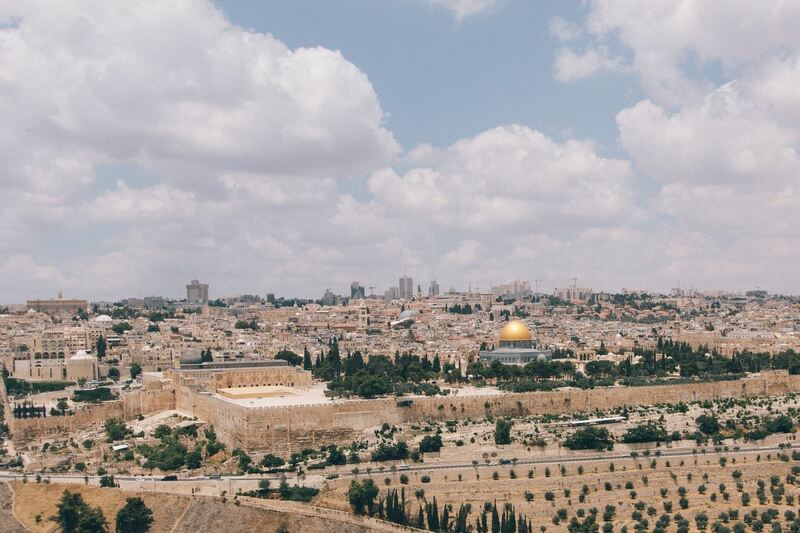 Dr. Grisanti loves the land of Israel and has been there over 25 times to study the land and lead study trips. Six of his eight children have studied on the IBEX campus. His daughter (#8) will be at IBEX for the spring semester. 10 years ago, our son attended IBEX and my husband attended that Family & Friends trip. The 2017 Family & Friends was my first Israel trip. The 2017 Family & Friends trip was a blessing. I appreciated Dr. Michael Grisanti’s daily devotions/encouragement on our bus ride toward our destinations, and how he associated passages of Scripture to the places where we traveled. We didn’t just visit places, each day we marveled at how God worked in the land, protected His own, and I believe God was honored by what was taught, and the extra bonus was what we saw. Together with the Satellite Bible Atlas, this time helped me understand the significance of the cities we visited. Now when places are mentioned in Scripture, I can visualize some of the places. It was truly a memorable visit to a special place where the OT Patriarchs, our Savior and the early church leaders lived and walked during their days on earth. Both my wife and I had been to Israel decades earlier, but we jumped at the chance to join the Israel study tour while our daughter was there for the semester studying through the IBEX program at The Master’s University. This trip was incredibly rewarding and more meaningful, as the resource material we received in advance and the Bible Atlas we received while on the tour added tremendous depth to our experience. That, and the extensive knowledge and teaching from Dr. Grisanti and our Israeli guide made it a tremendous blessing. We also enjoyed the fellowship from some wonderful like-minded believers we met on the trip. This was way more than just another tourist trip. Thank you for providing such a great privilege to see and travel throughout Israel. *Refer to the trip application for more information about the land-only price. *Not included in land-only price. **There is a $705 (credit card) or $680 (check discount) additional fee for single room accommodations. The accommodations will be comparable to any good motel in America (3-4 star), with each double room having a private bath. Dr. Grisanti will be leading the tour (teaching), but the law requires that an Israeli tour guide accompany the group. The trip employs an Israeli tour guide who will offer insight into modern Israeli history, as well as flora and fauna of the land of Israel. Travel insurance is highly recommended. See http://tinyurl.com/q29oy93 for additional information. If booking online, please indicate agency number 458167 for proper tracking purposes. If you make your full payment after December 13, keep in mind that our IBEX secretary (who handles the payments) will heading home for her Christmas break and won’t arrive back on campus untili the due date for the final payment. We need the payments in by January 10 to give the IBEX secretary and the finance office time to gather those payments together and send checks off for the land and airline side of the trip costs. So if you make your final payment after December 13, please don’t expect any response saying that your payment was received until she gets back into the IBEX office and can catch up with payments that came in during the break. Also, there is no need to email me because I won’t know anything about what has come through as payments. If you are wondering if your payment was received, feel free to email Kaitlyn after January 21. 1. If possible, please complete the registration form legibly. This will help insure that we have accurate information and don’t incorrectly read someone’s handwriting. When we submit your personal information (full name, passport number and expiration date) to the airline, the information we submit must EXACTLY MATCH what appears on your passport. Otherwise, you will face challenges when you check in at the US and Israeli airports and likely have to pay some surcharge. Be sure to sign and initial the marked places and give the date you completed the form. You must provide your initials for the travel insurance line on page 1 of the registration form. You can scan the form and email it to ibexoffice@masters.edu or mail it to the IBEX Office (see below address). 2. Along with your registration, send a clear color scan of your passport face page (email a scan or mail the printed page).This helps Dr. Grisanti start to connect faces with names before the trip begins.It also is a kind of insurance.If anyone loses their passport (perish the thought! ), the face page is a great starting point for getting that fixed ASAP in Israel.If you don’t have your passport when you submit your registration form, make sure to email or mail it to the IBEX office by January 20. 3. To pay by credit card, please use our secure payment portal. 4. To pay by check, please make the check payable to The Master’s University and mail or deliver to the IBEX Office. 5. The Master’s University requires all participants in the Family & Friends program to fill out a release form. Print the completed form and sign and date at the bottom. You can scan the form and email it to ibexoffice@masters.edu or mail it to the IBEX Office. 6. In order to provide us with some information related to your health insurance and key aspects of your health, the IBEX secretary will send an information sheet to those who have registered and paid a deposit.This information is not shared with anyone.It gives Dr. Grisanti some basic information to have on hand in case a person has an accident and a doctor needs to understand the bigger health picture as well as insurance coverage information. Please submit that by email or mail by January 20. 7. For any questions regarding logistical and payment details, please contact Kaitlyn Stire in the IBEX Office, 661-259-3540 x2616 or ibexoffice@masters.edu. Also, keep in mind that Kaitlyn is a full-time student and only works certain days and hours in the IBEX Office. Allow her time to reply to your email inquiries or phone calls. 8. For questions that Kaitlyn cannot answer, contact Dr. Grisanti at 818-909-5649 or mgrisanti@tms.edu. A current passport IS REQUIRED and must not expire until six months after our return date. If you don’t already have a valid passport or have one that will expire less than six months after our return date, Please apply immediately, as it may take several weeks to process. * Don’t delay in applying for your passport!! A visa, however, is not required. What should I bring with me on the trip? After the trip roster is settled, Dr. Grisanti will email a file that provides some guidance on what to bring and what to expect for weather. I live outside of California. May I travel directly to Israel, or do I need to join the group at LAX? You can contact our travel agent (his contact info found above and on the registration form) if you wish to make other arrangements. You are also free to use your own agent or book your own flight. It is possible to leave from other major airports and connect with the group in Toronto (YYZ). We generally discourage travel to Israel apart from the group due to potential scheduling conflicts. If you do travel on your own to Israel, land-only cost of the trip is $2,275.00 (by CC, or $2,195.00 if paid by check). However, we are not able to arrange ground transportation or hotels for alternative travel arrangements if your flight schedule does not match that of the Family and Friends group or your flight’s arrival in Tel Aviv is delayed for some reason. You will need to BE SURE you arrive before the group and depart after the group departs if you want to ride on the bus from or to the airport. You are also able to arrive a day(s) before or depart after the trip if preferred. If so, you can meet us at the Ben Gurion airport at the time of our arrival or arrange your own transportation to the Moshav where the IBEX campus is located. If needed, Dr. Grisanti will provide the address of the Moshav. If you arrive before or depart after the Family and Friends trip, of course, you must cover the housing and transportation costs. Itinerary details are provided on this website, so you can make accurate flight plans if you choose to make your own flight arrangements. In light of the current conflicts in the Middle East, how safe is it to travel to Israel? Rest assured that the IBEX Office does not want to put you in harm’s way. We won’t let the IBEX students go to Israel if we are convinced it is not safe, and we won’t pull the trigger on the Family and Friends trip (mid-January) if we have any concerns. We don’t go near Gaza during our trip, we don’t hang around border crossings, and we don’t match the profile that terrorists pursue (people in uniform). In every part of the world, we cannot avoid random events over which we have absolutely no control. Nevertheless, Israel is an amazingly safe place to be. Dr. Grisanti has been to Israel 25 times and has never felt unsafe. Events like those that took place during the late spring and summer are not commonplace at all. In the end, we trust God’s providence and we are in continuous communication with people who know the status of travel in Israel. Is there a way I can study and prepare for the teaching on this trip? As the trip roster gets settled, Dr. Grisanti will add several study suggestions to the trip webpage or email them to the group participants directly. These resources will help those interested in laying some groundwork for what we hope to learn during our time together. Once the final payment deadline passes, Dr. Grisanti will mail to each person participating in the Family and Friends trip a copy of a great resource, the Satellite Bible Atlas. You will carry that around during the trip, esp. on the days we are travelling outside of Jerusalem. He will also provide links to other helpful resources. Can I get baptized during the Family and Friends trip? This question deserves more time than I (Dr. G) can give in this setting. The short answer is “No”. As the trip leader, this is my decision. On the one hand, having a full schedule and limited time on the day when it might have happened is a genuine factor. On the other hand, I firmly believe that the NT presents baptism as a local church ordinance, to be witnessed by the brethren who will hold that person accountable to pursuing the life proclaimed by their baptism. To be clear, I am not condemning other trip leaders (that include friends of mine) who perform baptisms during their trips. I must live by my biblical beliefs and conscience. What happens if TMU decides to cancel the Family and Friends trip? This has never happened yet, but if we decide to cancel the F&F trip before the full payment is due (Jan. 20), we will fully refund the deposit or whatever a person has paid. However, after the full payment is made and that money goes to the airline and the land vendors, the money is out of our hands. If things get so bad at that point that we make the painful decision to cancel the trip (which I don’t at all expect), we have no access to that money. That is where the travel insurance kicks in. That is why we are encouraging concerned people to buy the travel insurance–making sure they understand the parameters of the policy they choose. There have been times that a spring snowstorm on the east coast has complicated flight connections. In March 2018, a few people arrived a day or two late because of being stuck somewhere in the US due to cancelled flights. In that situation, if a person decides to call off the trip for themselves because bad weather will delay their arrival by a couple of days, that is their choice. However, in that instance, keep in mind that TMU will have no money to refund (already sent to air and land vendors) and most travel insurances will not refund trip costs because choosing not to travel does not serve as one of the conditions for refunding trip expenses. That rarely happens, but we need to emphasize that point in light of last year’s experience.